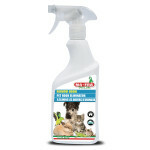 DROOL REMOVAL DETERGENT, as the name suggests, is the product specifically for drool that your cute little, four-legged friend leaves on windows and metal surfaces in your car. 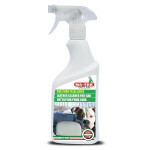 The product quickly and effectively removes drool and grease stains on windows and from metal surfaces in your car, all of which is entirely safe for your dog and the interior of your car. In fact, the product does not contain ammonia so it doesn’t leave any dangerous residue for your dog’s health. 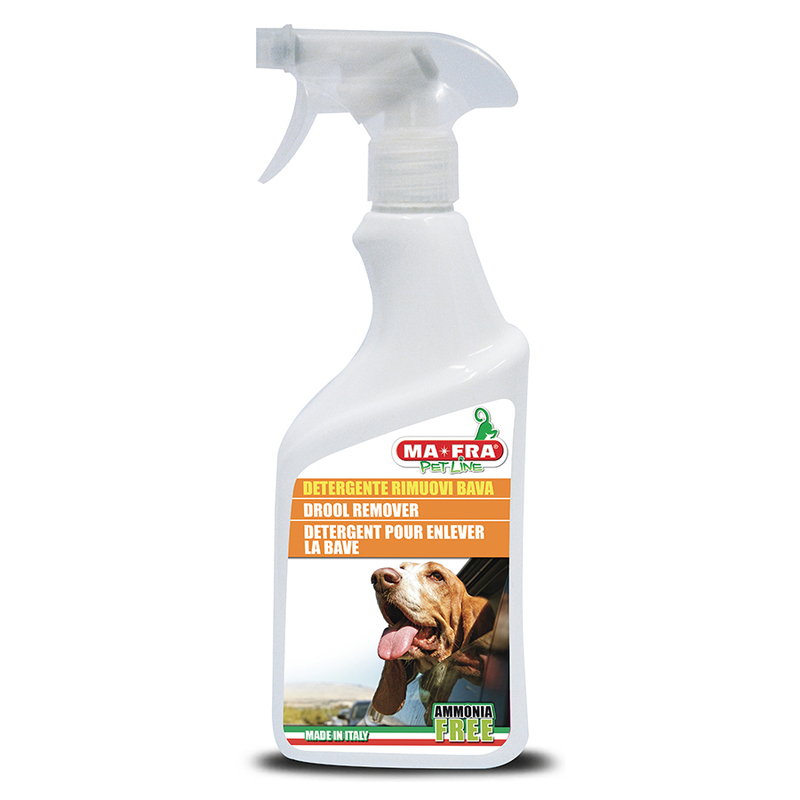 Safety for the interior of your car is instead guaranteed by MA-FRA’s experience in the car cleaning, care and maintenance sector. 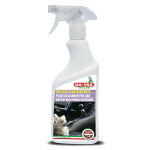 INSTRUCTIONS FOR USE: spray on the surface to treat, leave to work for a few seconds, then wipe with a damp cloth.